Note: Buyers must pre-register with Moores Agri-Trade Ltd. before bidding on property. Approximately 135 cultivated acres, no rocks. Strawberry Creek winds through southeast corner of property. Fence on east boundary along east and south property lines. will be covered in - concrete will remain. UNRESERVED: In this auction, the seller has agreed to accept the highest bid regardless of price. Properties will sell to the highest bidder without minimum or reserve. AGENT OF THE SELLER: Moores Agri-Trade Ltd. (Real Estate Brokerage) is acting only as agent of the seller and not as agent of the Purchaser. They will provide prospective buyers with all facts known to the agent that will or may affect the marketability or value of the property. PURCHASE CONTRACT: The Real Estate Purchase Contract that applies to the property is available for inspection prior to the auction. All bidders agree that, should their bid be accepted, they will complete and be bound by the terms of the purchase contract. Note: These contracts will not be subject to any buyer’s conditions. GST - Purchase Price (Bid price) does not include any applicable GST. COMPLETION DAY: Title for each parcel will be clear of encumbrances except those which are to remain on the title as shown on the Purchase Contract. Buyer will pay the balance of the purchase price to their lawyer on or before the Completion Day (). Possession will be in accordance with the terms of the Purchase Contract. NO WARRANTY: The Purchaser shall accept the Property as-is where-is and specifically agrees that neither the Seller, Auctioneer or Realtor makes any representations or warranties of any kind as to the condition or fitness of the Property, environmental or otherwise, or any improvements thereon. All information provided is meant as a guide only. In accepting a buyer registration number each bidder acknowledges receipt of the "Property Information Package" provided. The Purchaser shall have satisfied himself as to the descriptions, location and condition of the property prior to bidding. RESPONSIBILITIES OF BIDDERS It is the responsibility of all bidders to review all information provided and terms of this auction. If clarification is required, it is the bidder’s responsibility to obtain clarification from Moores Agri-Trade Ltd. prior to bidding. AUCTIONEER RESERVES THE RIGHT to accept or reject any bid and in all cases of dispute the auctioneer’s decision shall be final. 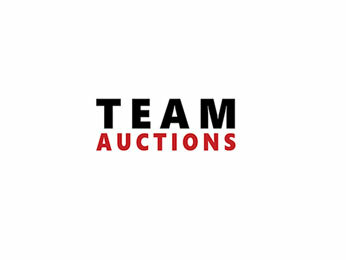 If an auctioneer declares a property "sold" or "closes the bidding" and more than one party immediately claims to hold the high bid the auctioneer may declare who holds the high bid or re-open the bidding for further advances from the parties who held the high bid. 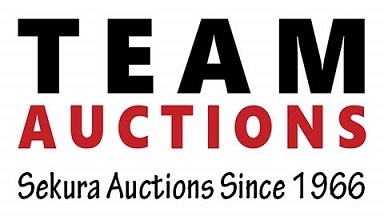 RECORDING: Real estate auctions managed by Team Auctions are recorded. If it is necessary to verify any fact related to the sale a copy of the recording may be provided to the seller or a buyer. BUYERS FURTHER AGREE to be responsible for all charges to them including deposits on sale day, and subsequent payments as outlined in the Purchase Contract. It is understood that if any payment is not made or if any cheque given to Moores Agri-Trade Ltd. as payment is not honored that the buyer will face civil and/or criminal charges.  In accepting a buyer registration number all buyers agree to be bound by the above terms as well as any other conditions announced by the auctioneer. Factory rebuilt engine 500 hrs ago. Have work order on hand. Recent hydraulic system overhaul. This is what Albert told us but there is no paperwork. Engine rebuilt at 4000 hrs. This is what Albert told us but there is no paper work. Only 195 hours since rebuilt transmission and torque convertor were repaired. At a cost of twenty seven thousand dollars and have work order on hand. Very little use since new rails and segments were installed. This is what Albert told us but there is no paper work. New hour meter was installed when engine and transmission were rebuilt. New radiator was installed at the same time and only 1059 hrs were put on since. This is what Albert told us but there is no paper work. New hour meter was installed when engine and transmission were rebuilt. New radiator was installed at the same time and 4552 hrs were put on since. This is what Albert told us but there is no paper work. Transmission and final drives were done with very few hours put on since. This is what Albert told us but there is no paper work. New hour meter was installed when engine, transmission and final drives were rebuilt. Only has 651 hrs since rebuild was done. This is what Albert told us but there is no paper work. 5' bucket shown in some pictures sells separate. This combine has a chopper that was a $20,000.00 dollar option. This auger is like new condition has only unloaded 16 Super-B grain trailers. This auger is like new condition has only loaded 16 Super-B grain trailers. Shield damage on LH side. spring tooth harrows, average tooth length 21"
This truck is like new with only 6870 original kilometers. Rebuilt hoist cylinder and Hot Shot pto. Tidy tank does not sell with pickup. There is no registration or paperwork on this trailer. Trailer is being sold without serial number on bill of sale. Buyer's responsibility to have trailer inspected and serial number assigned. Comes with original tires and rims. Seat will be recovered for the sale.